“Bunty Aur Babli,” 2005, with Amitabh Bachchan, Aishwarya Rai, and (his son/her husband) Abhishek Bachchan. You want over-the-top, Bollywood is for you. The hugely popular form of Indian film can seem an outlandish amalgam of disparate elements — in Western terms, it’s as if Busby Berkeley were directing but in league with MTV, soap-opera, and advertising oddballs. The films of Bollywood’s vast and hugely popular output also have plenty in common with the most spectacular of Western film fare, particularly that of the writ-large, Super-Bowl-ad-meets-pop-music-video-meets-political-convention-crowd-rallier variety: Both genres reveal much about the cultural values of those who produce and consume them. When he speaks of musical “cosmopolitanism,” he is referring to composers’ and performers’ bringing into play a variety of musical styles, instruments, and practices to create “a popular music genre that is oriented to heterogenous audiences” – music for the commercial market’s Everyticketbuyer. To help orient readers to the nature and variety of Hindi film songs, the Oxford press has created a website with short video examples of each of the 25 Hindi film songs Beaster-Jones discusses at length. He also provides a timeline of influential music directors, singers, and lyricists, and recommends 25 landmark songs and 10 key films for each decade he covers: from 1943 to 2013. Most helpful are Beaster-Jones’s explications of songs and their settings within films. At their most pumped, the songs are staged as spectacular, show-stopping “item numbers” with erotically charged dancing. These interludes begin their lives weeks or months before the release of the films they enliven: They blare through urban areas and from television sets: They lure and allure potential audience members to the coming attraction, creating anticipation and also familiarity. Beaster-Jones also explains such facets of the production as the origins of various song elements as orchestrated into lively pop by the successful Shankar-Ehsaan-Loy trio and studio (represented on the usual sites, and clearly adept at spouting with the best of em): In this case, the refrain is folk, even if overall the number is urban pop. Also striking to a true-blue Bollywood fan would be that the producers at Yash Raj Films chose Alisha Chinai as the “playback singer” to whom Ash lip-synchs. As qualities of her voice suggest (to the insiders), she’s from quite a different Indian musical world. 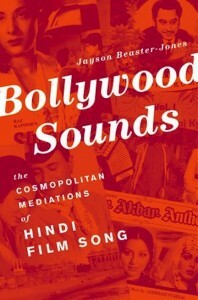 Beaster-Jones tracks the evolution of “Bollywood Sounds” from the end of the colonial era; he analyzes such motifs as the “angry young man” and “the cabaret woman”; the social and cultural values projected from family films and other varieties; and also describes what has happened to film song in the era of the multiplex, YouTube, and cell phones. He is preparing another book, Music as Merchandise: Music Commodities, Markets, and Values in India about the cultural roles of music retail stores there. What cultural values do they project? With what financial incentives? How have those relations evolved with the ongoing push in India for “economic liberalization reforms”? How has that affected thinking around such issues as intellectual property and piracy? He spoke with Moving Image Archive News about Bollywood Sounds, and began talking about how little scholarly attention has been paid to Hindi film song. The writing on music as distinct from film hasn’t really discussed the music in any great detail. In the last, say, 10 years, when it became rather fashionable to write about Bollywood, authors would talk about the visual dimensions of the song sequences, but mention virtually nothing about the musical dimension. This struck me as strange because so much is going on and there’s such an amalgam of musical styles and instruments and musical approaches. The fact that almost no one — or very few people — would write about the music struck me as very odd. The films have a very striking visual style and indeed the song sequences do, as well. But more often than not, when people are encountering film, they’re encountering it by way of the music. This is what they’re hearing on the radio, this is what they’re seeing on the television, so the visual dimension isn’t always there. One of the things I was interested in was to find how the meanings of the song and what people bring to the songs are operating both within the musical realm and within the visual realm, at the same time. There isn’t a lot of writing on that multimedia dimension of film or song interpretation. This guided my approach. Yash Chopra’s “Aadmi Aur Insaan,” 1969. What did you find, with regard to film archiving in India, for Hindi film? Because I was trying to get to films and songs that were as much as possible a part of cultural memory, accessibility to those sorts of films wasn’t so difficult, with one exception: a film that I was never able to track down, a film from 1947 called Shehnai. More often that not I counted on retailers to supply the films I needed. But there’s an odd thing that happens in Indian retail: It’s very easy to get films that are less than five years old; and it’s very easy to get films that are about 20 to 30 years old; but there’s a 15-year period where if films haven’t been released, it’s virtually impossible to get them from a retailer, and you have to look into local archives. But the state of archives for commercial films in particular is really deplorable, in large part because the film directors don’t really care beyond any given project. Or at least that’s the sense one gets talking to people who are involved in the industry. And it isn’t just the film archives that are in a really bad state; the music archives are, as well. Until the 1980s there was essentially one music company that bought the rights, or had access to all of the rights to distribute music in India. In addition to having a fire in one of their warehouses, and then the fact that they didn’t bother to take care of their recordings, at all, a lot of recordings from the 1940s and before are basically lost, in part because the tape deteriorated, or whatever medium they were using deteriorated, but also because they just weren’t paying close enough attention. What explains that? Why would they own them and not keep them properly? Was it because they just use the most recent ones and then that’s as far as their plans go? That’s right. One of the reasons in the last 10 years or so that they might begin to care is that this particular music company – which is HMV — is no longer really much involved in the contemporary film industry because they don’t have enough resources to buy the rights to distribute soundtracks. What this means is that they’ve had to attempt to monetize their whole back catalog of recordings, in any way possible. So their primary business now is repackaging recordings that they already had, which means that for some of the really early artists like Noor Jehan (1926-2000) or K.L. 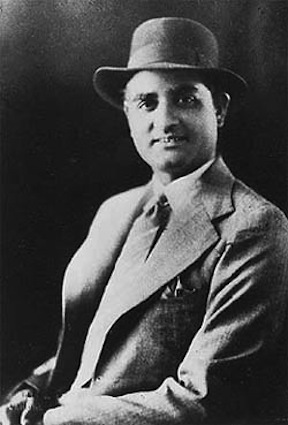 Saigal (1904-1947) they don’t have that many recordings that are in good enough condition to release even though there is a bit of a market for them. A lot of the problem also has to do just with the way that commercial film and music industries operate. In an Indian context, since music directors are hired on a work-for-hire contract, until recenty they didn’t get very much in royalties from their recordings. So they had little incentive to keep any kind of archives of their own sheet music. Most just discarded them, as they went. What, then, is the short-term marketability of such holdings, and what has it been over time – what motivated HMV, early on, and then to keep the material? If you talk to HMV executives, or even former executives, they’ll tell you they have one of India’s national treasures. Another reason there hasn’t been much interest until recently in keeping archives is that in the 1950s until the point where Bollywood becomes more internationally recognized in, say, 1998 or 2000, the central government and most people didn’t really take the film industry or the music industry that emerged from films that seriously. 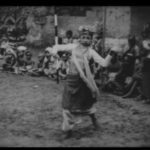 As a result you have certain kinds of art films, like Satyajit Ray’s films, and others that are bona fide art films as endorsed by international critics and within India, as well, that have been very carefully retained and archived but most of the rest of the commercial films haven’t. Part of this is a space issue, as well, because in the contemporary moment there are well over a thousand films made each year. All that takes a lot of space for. Someone must’ve had the idea that HMV could monetize the back catalog at some point in the future. But they didn’t take it seriously enough that they were protecting the stock in good conditions. I doubt that most of the tape that they have from the ’50s, ’60s, and onward was kept in any kind of good archival storage. It was probably kept in a warehouse subject to all kinds of temperature and humidity fluctuations. Does that mean that a small part only will ever be usable? That’s right; unless they find some kind of incentive to begin cleaning up whatever they have; but there’s so little money in the music industry, such as it’s constituted at the moment. There’s very little incentive for them to go back over those recordings. Someone would have to make a case that there’s a big enough market for the recordings that it would provide them with the financial incentive to do so, and I doubt that incentive will ever arrive. But there’s likely some group of film song lovers or connoisseurs or collectors in India who will begin to bug HMV about these recordings. I haven’t been to their archive. I heard it’s interesting; but getting access to commercial archives can be fairly difficult. Is there cultural memory of the songs, and how deep? Oh, very, very deep. But it depends on what generation of folks we’re talking about. I would say that people who were born in the first generation after independence have cultural memory of the songs that dates back to the mid 1950s, or maybe early 1950s. An interesting thing about Hindi film song that is like the way that pop music works in other parts of the world is that the popularity of the songs from the 1950s is competing with the popularity of contemporary film songs. So there is a market to re-release these old film songs and they do reasonably well. The people who are will actually buy music rather than just download music are likely to be the people who are collecting film song from the 1950s and 1960s, which is perceived as the golden era of Hindi film song. You could say that Hindi film songs — but much less, say, Tamil or Malayalam film songs, or any of the other traditions — are the archive of memory, in very much the same way that popular musics work in other parts of the world. You have a certain generation of folks, especially people born in the first generation after independence, who attach an immense amount of their own individual memories to these larger cultural sounds, you might say. So certain songs from the 1950s, in particular, really evoke in a lot of people’s minds their very difficult years of India’s independence in the early postcolonial era. And once again, in ways that are similar to what happens in other parts of the world, these songs get attached to particular sorts of narratives about Indian history, about Indian cultural memory. They become viscose; they stick to people, so that certain songs are associated with, say, the death of India’s first prime minister; certain songs get attached to particular moments after the Indo-Chinese war of the 1960s; or to the critical moment of time called “The Emergency” in the 1970s. And in essence the songs themselves are both products of, and reflect back on memories folks have of those particular time periods. A lot of fans of older film songs would argue — I’m not sure I would entirely agree with this — that the songs from this period, the 1950s and 1960s and 1970s, have more of this viscose quality of memory than contemporary songs do: that the music industry operates so fast now and there are so many songs released that it’s difficult to attach any one set of cultural memories to a particular song. But they would make this claim not just on the basis of how many songs are being produced but also on the quality of songs. There are those sorts of aesthetic dimensions that are more personalized. What’s your thought on that? The category label that they use is “evergreen.” We can talk about songs from the 1950s, ’60s, and ’70s as evergreen songs, because they’ve had 30 to 50 years to demonstrate the applicability of the label. It’s going to be hard to make that case for songs of the 1990s or 2000s, for a little while. That said, among diasporic Indians that I meet — basically college students who come from the Indian diaspora, sometimes second generation, sometimes third generation, kids in the US… — they have very strong cultural memories attached to 1990s film song: basically, from the point at which international distribution of Bollywood DVDs began to take place. They know all these songs from the mid-1990s but they may not know any Western pop songs from the 1990s. Most of my students now at UC-Merced have about a five-year pop-culture memory. This seems to be consistent. And yet you’ve got these kids who’ve got a 15-to-20 year cultural memory, from 1995 on. In essence there’s an interesting split between Indian audiences who are the equivalent of a baby-boomer generation, who have a particular set of cultural memories around 1950s and 1960s songs, and then a parallel group of kids who have a different set of memories associated with mid-1990s and 2000s songs. Are they equivalent in terms of quality? I’m not sure we could really say. But in terms of the power that they have, certainly they are. Do you have a sense of what the power derives from, in the recent ones? My sense is — and this is part of the argument I make in the book — that when India begins to liberalize its economy in the 1990s, after a fairly rough stretch of near national defaults similar to what we’re seeing in Greece or Portugal and other places, now, the moment when India begins to liberalize its economy becomes a very interesting moment in which a new kind of commercial ideology begins to emerge. Ghandi and Nehru themselves had a sense of India in the 1940s and 1950s that they wanted to create a nation state that was based on self-sufficiency, that in essence didn’t relie on international trade in order to be able to sustain its economy. When that seemed to be unsustainable by the 1970s, and then into the 1990s, some very important systemic changes were made. All this background is to say that a new kind of optimism began to emerge among the Indian middle classes by the late 1990s, a sense that India’s economy had been shackled before and now was going in new directions. What is happening concurrently with this is the rise of satellite television, which is introducing international sounds that would have been available only to Indians who had contacts abroad – aunts and uncles who were sending them records. Any number of collectors I’ve talked to had an aunt or uncle in the 1960s who worked for, say, Air India in London, and would go to London and drop by the HMV store there, and bring records back with them. Around 1995, music directors began to adapt to that, so there was a significant change in the sound of film songs. The language that might be used — it’s not language that I would necessarily pick myself — is that music directors modernized themselves: they became aware of what the tastes of the youth were and began to adapt themselves to that. This is coupled with a narrative of decline: that the period from the mid-to-late 1970s to 1980s was one of the worst eras of film song, ever. And then a resurgence, a sort of renaissance of film songs beginning in the late ‘80s but especially by the 1990s. How alert are composers and producers in Bollywood to the musical tastes of their audiences? In terms of the musical changes that have taken place, and of how they conceptualize their audiences, there are two things to say, here. The film producers have always tried to remain cognisant of who their audiences are, because they are trying to sell songs to them. To this extent, these cosmopolitan influences that we see being more prevalent now as part of film songs, they have always been present – they’ve been there since the 1940s. Most of us aren’t listening to big-band jazz or the bossa-nova movement that was happening in the 1950s, and so forth, so those seem a little bit dated, but nevertheless all these influences and stylistic approaches are present in film songs from the 1940s, onwards. To that extent, producers are always aware of their audience. But one of the key things that happened in the 1990s is that they began to realize that their audiences were not just in India but also abroad. So they began producing films and music that was oriented towards the Indian diaspora markets that were based in London, Vancouver, or Toronto. This has been one of the sources of people in rural India complaining that the films no longer apply to them, that the films are more oriented to metropolitan audiences. These big budget films are much more oriented towards metropolitan Indian audiences and international audiences. The film producers like Yash Chopra came to realize that they could make far more money by marketing to Indian populations in London in large part because ticket prices are much greater in Western cities than in India, so this orientation towards a new audience began to take place. This is also tied into the emergence of the DVD market in the late 1990s, so that it became more feasible for Western non-Hindi-speaking audiences to access films by way of subtitles, which was a lot more difficult on video cassette. How justified are the rural audiences in their complaint? Oh, they are absolutely justified. And by rural audiences, what I mean is villages. Some of the things that are being depicted in film ignore villages entirely. And smaller cities — the ones with maybe 500,000 or as much as a million people — a lot of the values that are depicted in films are oriented towards a very different population that is living in Bombay and Delhi and cities like that. This isn’t to say there aren’t audiences in these smaller cities, because in essence films have an escapist element to them, and to a greater or lesser extent, this explains why extreme wealth has been portrayed in film a lot more than extreme poverty. The film producers like Yash Chopra came to realize that they could make far more money by marketing to Indian populations in London in large part because ticket prices are much greater in Western cities than in India, so this orientation towards a new audience began to take place. There’s a strange phenomenon where the West perceives rural farming and fishing villages, which are still home for most Indians, as impoverished when they’re in fact just self-sufficient and not even in the cash economy. Is that world represented at all, in these movies? Smaller, village populations are not a subject of many contemporary Indian films. In the 1940s and 1950s they were far more represented than they are, now. This idea that self sufficiency is represented as poverty is a very interesting one, and a useful way to look at things. I’m not sure I have a good response to that idea, other than it’s a very interesting one. In terms of the ideologies that come with economic liberalization, self-sufficiency is literally not enough. And you figure that most film makers are coming from the middle and upper-middle classes, and primarily the urban middle classes, and there are very few filmmakers who have much interest in representing rural India, especially in representing it sympathetically. I’m thinking of a number of counter-examples, here, but so often it’s precisely what you’ve described. It’s not surprising that it’s depicted that way in popular film, in an era of neoliberal economic reform – there’s obviously the reality that audiences in India from the middle classes just don’t really see that world, even if it’s 30 to 50 to 100 miles away. Yeah, and one of the things that occurs to me is that there has been a resurgence of regional language films that are much more oriented towards village populations. There’s been a lot of writing recently on the Bhojpuri film industry: it tends to have a lot lower production budgets, and to hit far larger swaths of the Bojhpuri-speaking region. And, I would anticipate it would orient its film more to the concerns of the people in that region than, say, Bollywood which is trying to find as much of a national and international audience as possible. So in essence they’re approaching different kinds of audiences. You can see that the same thing is true for the other regional-language films, the Tamil or Telugu films. They are much more regionally oriented than Bollywood, which aspire to national or even international distribution. Primarily in the states of Uttar Pradesh and Bihar. So it’s in the part of India that typically gets represented, in their terms, as backward, as less economically developed. Bihar, for example, has a reputation of being a state where there is more or less infinite corruption and crime, and that sits on more or less infinite natural resources. Those narratives work pretty well? Yeah. I haven’t watched many Bhojpuri films, but there are people who’ve been doing scholarship on them saying really interesting things. It’d be in those regional film markets that you’d look for these narratives that are related to peoples’ everyday lives outside the metropolitan markets. What’s happening in academic studies of Hindi film song? There isn’t very much. Anna Morcom at Royal Holloway, her book Hindi Film Songs and the Cinema, dealt with the industry but also dealt with songs. 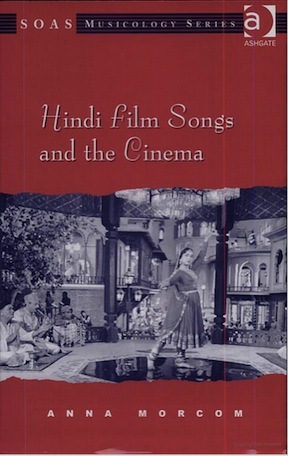 That was published in 2007, and was the first by a scholarly press that dealt with film songs. For a long time, a lot of us who were writing on film song relied on a 1991 dissertation by Alison Arnold [“Hindi Film Git: On the History of Indian Popular Music,” PhD dissertation, University of Illinois at Urbana-Champaign, 1991]. It was the first key source for almost all of us who started studying this for 15 years, after that. There’s very little in print. Peter Manuel book, Cassette Culture [Cassette Culture: Popular Music and Technology in North India University of Chicago Press, 1993], deals with and essentially dismisses film song in about a chapter and a half. There’s a certain politics of representation, here. Until about the mid 2000s, no one took the films or film songs particularly seriously because they didn’t see them as being authentically Indian. What this meant is that musicologists and ethnomusicologists would be guided by their supervisors to focus much more on the classical arts and the folk arts. These were the two areas of legitimate access to India. To a degree I don’t entirely disagree with this approach, in large part because of the way that the market forces operate. Film songs need to be from India but not from any particular place in India, both at the same time. To reach the audiences they want, they can’t be too located. Alison finished her dissertation in 1991, on research done in the 1980s. Peter Manuel’s Cassette Culture was published in 1993, which was also based on the state of film song in the late 1980s. Until Anna Morcom wrote her book there were a few essays, but there wasn’t anyone who was taking it particularly seriously as a musical form. 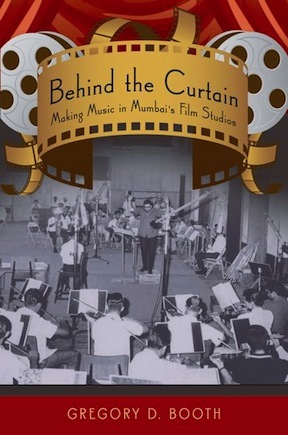 After that, Gregory Booth published a book in 2008 [Behind the Curtain: Making Music in Mumbai’s Film Studios, Oxford University Press, also with website] which looked at lives of the musicians who were producing film song. 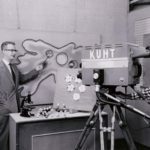 It was the first set of oral histories that we have that gave us a sense of what film-song production practices were like, and how musicians operated in the studio context. 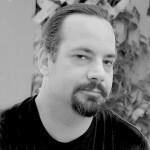 But once again, most of his research was based on people who were working in the film industry in the 1970s and 1980s. Beyond that, for a variety of reasons, there hasn’t been that much beyond, say, 1990, other than particular articles that focus much more on the visual dimension of film songs than the oral dimension. There are a couple of good essays here and there that have filled in some details. Natalie Sarrazin, for example. But unfortunately the number of people who have written on film song is very small compared with the number of people who’ve written on film generally. That issue of authenticity: it’s an argument that can be brought to any popular media products. That dichotomy is challenged in the West; how about in India? 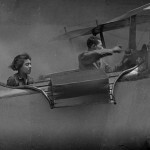 It gets back to the way that cultural memory operates. Cultural critics want to have it both ways: Films don’t mean everything and films mean everything. I don’t think anyone in the last five to ten years would completely disregard films and film songs as being entirely inauthentic, but no one denies that cultural memory plays a key role in their longevity. You find yourself in this really weird space. You can read articles in Filmfare and other journals from the 1940s and 1950s where people are saying essntially that all film songs are Indian rip offs of Western songs and Western ideas and this is not truly Indian. And the same discourse continues into the 1970s and 1980s. Another discourse is about how songs just aren’t as good as they used when they were truly Indian in the 1950s and 1960s. So you have succeeding generations that just didn’t change their minds. A lot of this, I suspect, has to do with what you grew up with. The song and films that were ubiquitous when you were 16 or 17 – that looks like the natural order of the world even as your parents are railing against the cultural decline of the companies that produced them. But in terms of cultural critics, I don’t think there are many cultural critics who would argue that even film songs of the 1950s and 1960s represented any sort of authentic India. But they would likely argue that they deal with it much more in that period than they do in the contemporary time period. Is it the case then, that to find the songs’ significance, they have to define them in terms other than authenticity, which seems so limiting? It is; from a scholarly perspective it doesn’t get us anywhere useful until you begin to interrogate what exactly “authentic” means to the people you’re talking to. The category “authentic,” but applying it to something is less useful. But this is one of the motivating reasons for why there’s so little written about film song. A lot of that is on the basis of questions of cultural authenticity that are shared not just by Western scholars but by Indian scholars and Indian cultural critics and many Indian people who are fans. It’s completely acceptable for someone to be critical of film and film-song representations of India life and Indian culture, but still go out to watch them, and still add some of these dimensions to the way they see the world. Humans are funny, that way. 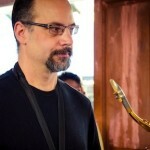 Previous Post: The Task and Art of Restoring Sound on "Ornette"